A template is the building block of your blog. It's good to take a backup of your Blogger template before making any changes in it. 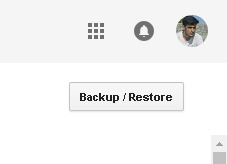 In case if you messed up with the codes of your template, you can easily revert back to your previous template by restoring the backup. It's super easy to download a backup of your Blogger template. This guide shows you how to do it! Go to the Template section. Click "Backup/Restore" button at the top-right corner of the screen. Now tap "Download theme" button and choose a location on your computer where you want to save your Blogger template. That's it. Blogger template is saved in an XML format file. You can also edit it offline using any text editor application such as Notepad++. 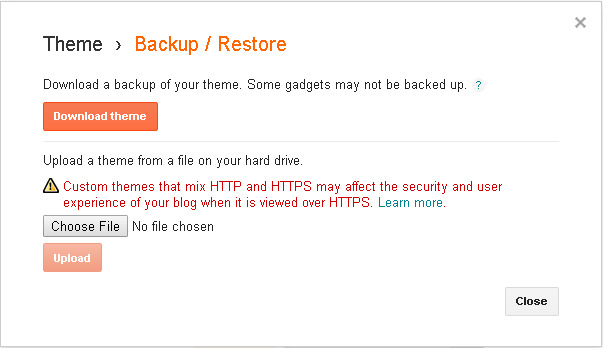 Note: Some gadgets or custom widgets may not be backed up with your Blogger template. You have to save them manually. Now click "Choose file" button and select the .xml template file from your computer. When you restore a template, Blogger will automatically add some basic gadgets to your blog such as the "Powered by Blogger" attribution widget. You can easily remove them from the Layout section. 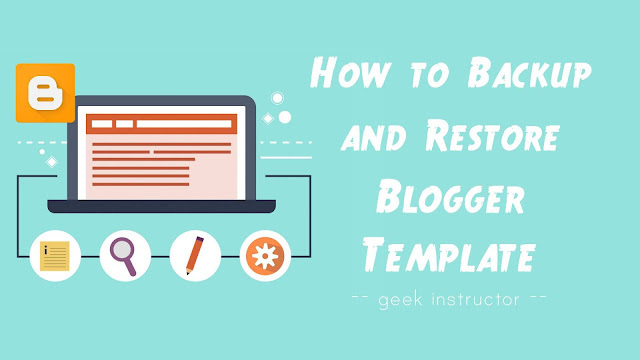 We hope you find this guide helpful to backup and restore your Blogger template. If you want to ask something about this tutorial, feel free to share it in the comment section.